Let’s talk about life for a second. I don’t know about anyone else, but mine is always a little insane. We’re talking the kind of insane where you’re stretched super thin and you’re looking at the clock thinking: Why can I not have just ONE more damn hour in the day? Lately, in my little tiny corner of the world — it’s been insane, triple fold. I got into a car accident. One that was so incredibly avoidable, it’s laughable. The kid who hit me, saw me coming down the hill when he cut across my lane into a parking lot. Did he really think my car and I would just… disappear? Apparently so. He pulled into the lot, and right back out the exit without a second thought. Into the side of my car. I was stuck, I couldn’t avoid it. All three ways I could have reacted, I would have been hit. Luckily, the option I picked gave my vehicle the least amount of damage. But it still left me without my car for a solid month. Have you ever had a rental? On a vacation is one thing. As a day-to-day driver? No. No freaking way. I got a Focus first. How the hell am I supposed to haul all of my equipment in that?! Three days in, I couldn’t do it. I went back to Enterprise. Got an upgrade to… a Jeep Patriot. Now, let’s all pause here for just a second. Anyone who knows me, knows I’m anti-Jeep in all ways possible. I had a lapse last summer and tried out a Wrangler, enjoyed it for all of .02-seconds, and brought it back. I hate them. Having been raised by a mechanic/auto-body guy, I’ve seen them in shops and on flatbeds more than on the road. And Enterprise gives me the keys to one. Life on the coast is the good life. I couldn’t put my kayak in it. Apparently, the Patriot, although it looks like a mirror image of the Dodge Caliber on the inside (the car I had before the Murano), it is definitely, most certainly NOT like the Caliber. That passenger seat does not lay down. That 9-foot kayak will not fit inside. Sure, you can strap it to the roof, but you risk damage. I didn’t want to pay a damn thing out of pocket for this whole experience because well, let’s face it, I didn’t ask to get hit. So I suffered. I suffered very loudly. I love my car. I bought my car for a reason. I can haul not only my photography gear, but I can haul all of my gear for my classes. I have the Yakima rack with the PowderHorn in the winter for snowboarding, the HullRaiser in the spring through fall months for kayaking. My car, over the past three years has been a work in progress to fit me and my needs, and I JUST got it perfect. Only to be without it. But that’s okay, all is right in the world again. My car is back and my blue boat has been in the water not once, but twice already in the five days I’ve had my car back. During the rental car month (in which I have a separate blog coming about the rather, um, interesting experiences in it), I signed a lease on a space for two classes that I’ve been working on for months. I signed a lease. I put my name on a piece of paper, making a space inside of a building mine. I gave all of my hard earned money, every single penny almost that I’ve made since I started training after getting certified, to someone for a space. Talk about a heart stopping, panic striking moment in life. Simply put: My gym where I was holding my classes wasn’t cutting it. I started with four classes on the roster, and now I’ve whittled myself down to just two. One has less than stellar numbers and is on the chopping block as well. I needed to branch out and away, I wasn’t getting the growth I wanted or needed where I started. I was stifled (another story for another day). I also wanted to offer more, and my gym wasn’t going to be a suitable spot. Enter, Lincoln Street Center for Arts and Performance. Newly renovated, I know the owner through my “day job”, so I ventured over there one day to check it out and talk business. 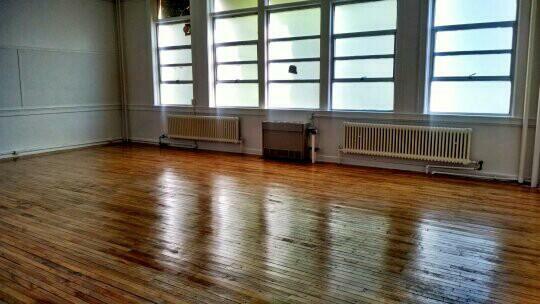 The space, an old classroom, was perfect. Visibility is great. Word of mouth is even better. I pulled together workout plans, recipes and started working to put together packets about nutrition. Locally, there are a lot of fitness classes. Locally, there are not a lot of places people can go for nutritional education. Pairing the two has been something I’ve been wanting to do for AGES. 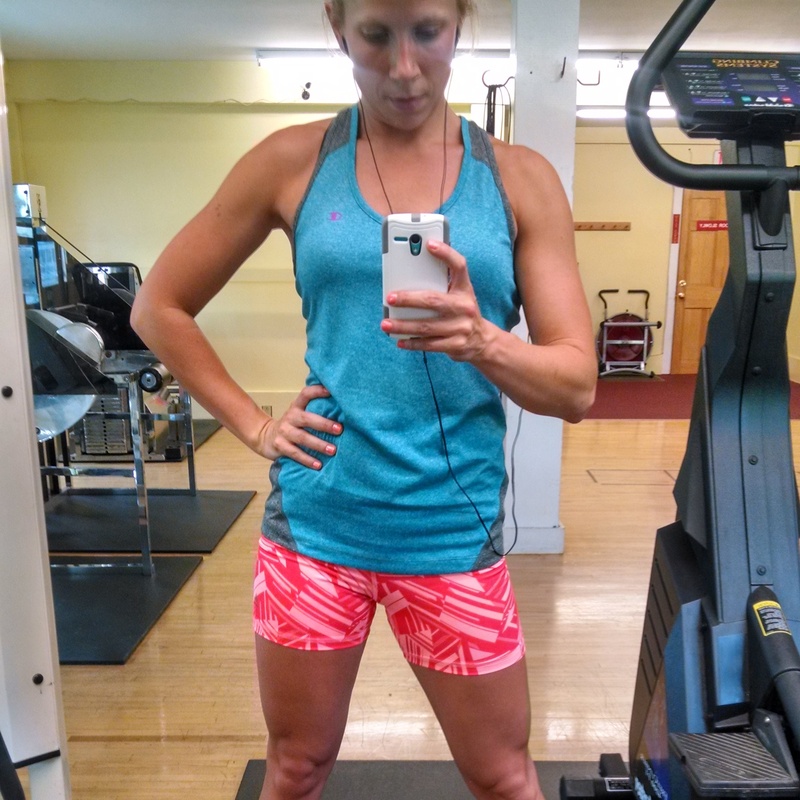 I split my classes into two pools, general focus on nutrition and working out and moms. That’s right, I went there. I made a class solely for moms. New and old. Regardless if your child is 32 with three kids of their own or your baby is only one, the class is for you. Losing weight, getting the family on board for eating healthy, budgeting meal plans, etc. Helping moms regain their confidence in their bodies and help their families be healthy is what my niche is, and always will be. So I now have a space to park VanSpice Fitness for the summer. The first class was a success, and I think I really did (despite all the panic and fear at first) the right thing. …and I might have sort of committed to not one, but two shows in the fall. An already competing friend is doing one in October and she and I have been talking about doing it together. She knows I have it in me, I know I do too, I just fear what I always fear: time. Is it on my side? Can I really etch out the time I would need to dedicate to doing this? Teach me how to selfie? Not a fan of selfies, I’m warming up to taking better progress photos of myself. In April, just after a photo shoot, I started easing into early training. My thoughts on the early training tactic is this: If I can take the time I have now in the gym, and work out a program that will give me the progress and gains that I need for a show, then I can do this. If I can’t? Then I’m on the sidelines as a trainer again (which is totally fine as well, it’s an experience I’d like to live over and over again). So far? Things look good. I’m 19 weeks out from one show and I’ve started to see some really great development in my shoulders and traps (my trouble area). I’ve got seven more weeks to go before I need to make a commitment to whichever show (or both), so unless things become quadruple insane, I think……….. I’m in.